HARARE - Former Cabinet minister Ignatius Chombo, who is facing a slew of corruption charges, was back in court yesterday for routine updates on the progress of his cases. 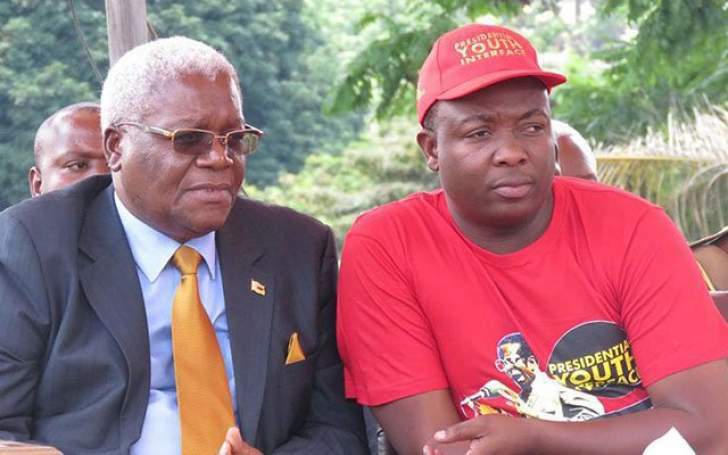 Chombo appeared together with ex-Zanu PF youth leader Kudzanai Chipanga, and Munyaradzi Hamandishe whom he is jointly charged with on a criminal nuisance charge after they were arrested for wearing the party's regalia. Prosecutor Sabastian Mutizirwa advised the court that dockets were now at the Prosecutor-General's office for further management before accused persons are indicted for trial. In one of the cases it is being alleged that on October 1, 2005 Chombo hatched a plan to defraud the Reserve Bank of Zimbabwe (RBZ) under "Other Crops and Livestock Support Facility" provided by the central bank. It was alleged that Chombo would apply for capital expenditure loans purportedly for agriculture equipment but splashed the money on his personal endeavours and bought various cars, one of which was delivered to his stepdaughter, socialite Pokello Nare. Chombo applied for Capital Expenditure Loan amounting to ZW$14 billion which was to be paid within 18 months and indicated his address as Allen Grange Farm, Rafingora, it was alleged. Under Section 4 of the RBZ "Other Crops and Livestock Support Facility Application Form" Chombo was alleged to have misrepresented that he was going to use the proposed funds for the purchase of various agricultural equipment. The equipment included a 30-tonne lorry valued at ZW$2 billion, 30-tonne truck valued at ZW$1,5 billion, 200 hp tractor four-wheel drive valued at ZW$2,5 billion, combine harvester valued at ZW$5 billion, 52 dish roam disc valued at ZW$1 billion, nine row monosem planter valued at ZW$1,2 billion , 2x500kg chicken feed mixer valued at ZW$ 8 million. The court also heard that Chombo abused funds and it was investigated and established that he had imported various motor vehicles, including a Toyota Hilux Vigo for socialite Pokello which was delivered at 222 Samora Machel Avenue, Harare.